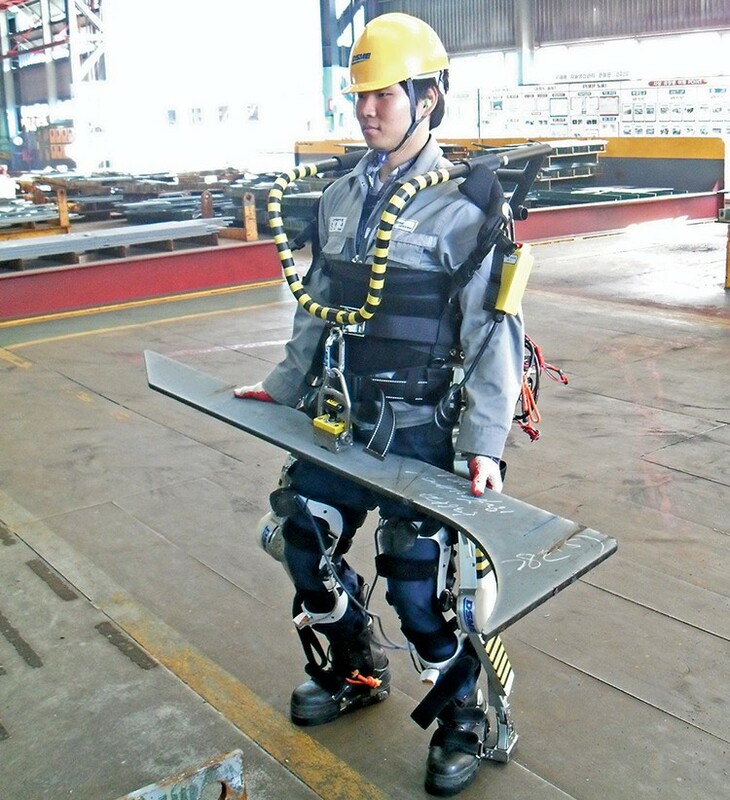 It seems like it's only a matter of time until the industrial robotic exosuit appears, with first Panasonic and now Daewoo prototypes in development. In fact, Daewoo looks to be a step ahead, having already tested its prototype suits at its Shipbuilding and Marine Engineering facility in Okpo-dong, South Korea last year.According to New Scientist, workers are strapped into 28kg (62 pound) aluminium alloy, steel and carbon fibre suits called the RoboShipbuilder, which support both their own weight, plus an additional 30kg, allowing workers to safely lift and carry heavy objects. Anyone between 160 and 185cm tall (5 feet 2 inches and 6 feet) fits the suit, and it has three hours of battery life. Straps across the legs, feet and chest secure the wearer, and the RoboShipbuilder runs on hydraulic joints and electric motors, with the power source tucked inside a backpack -- and, because the suit bears most of the weight of the heavy objects, wearers have much finer control over what they are handling. The test run was successful, with most feedback positive. Workers would prefer the suit move a bit faster -- at the moment, it can only move at a normal walking pace -- and handle both angled surfaces and twisting motions more easily. The shipbuilders would also like to handle heavier loads -- the target lifting capacity is 100kg for the final model.